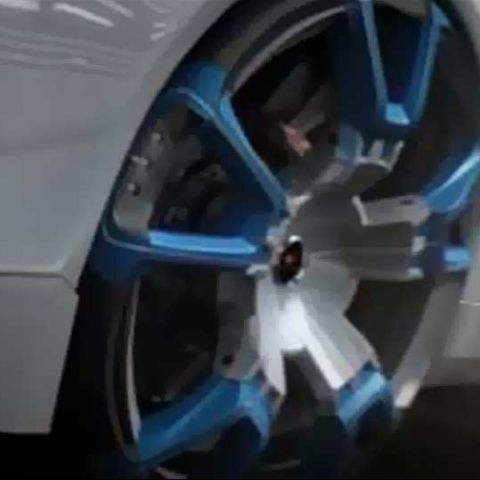 Is the third company after Bridgestone and Polaris to show off the airless tire concept. The South Korean tire company, Hankook, will be showing off the airless tire concept at the 2013 Frankfurt Motor Show. The concept is called i-Flex, and is the third such concept to be showed off by the leading tire manufacturers, including Bridgestone, reports Motor Authority. The i-Flex is made from polyurethane synthetics, with the tire manufactured in union with the accompanying rim, making this a single unit. The most important advantage of the i-Flex tire is the fact that it is puncture-proof. Also, the new structure makes this tire considerably lighter than conventional rubber and offers better shock absorption through the mesh structure. Hankook says that these two aspects enable better fuel economy and less road noise while the tires are in motion. The South Korean company has been working on a number of concepts off late, including the eMembrane tires. These tires change the structure internally, depending on driving conditions. At high speeds, the structure changes to offer better grip through a larger contact area, while at low speeds, this contact area reduced to offer better fuel mileage and lower road running noise. The i-Flex is made from polyurethane synthetics, and the tire manufactured in union with the accompanying rim, as a single unit. Hankook hasn’t specified when it will start mass production for the i-Flex tires, but we expect it will be early next year when these tires start selling off the shelves, alongside the pneumatic versions we have been using all this while.